Students in two local communities will have safer trips to school thanks to recent State transportation funding. The City of Woodlake will be receiving $245,000 to construct sidewalks, ADA ramps, striping and signage along Castle Rock Street. The project plans to eliminate the potential for vehicle vs. pedestrian accidents by creating a continuous sidewalk for students to safely walk to school. Tooleville, a rural hamlet just east of Exeter, will be receiving $379,000 for a sidewalk and school bus pullout along Road 204 (Spruce Road). The sidewalk and bus pullout will be constructed at the current bus stop near East Firebaugh Avenue. The projects were among 32 biking and pedestrian projects throughout the state that will receive nearly $8.5 million in allocations from the Active Transportation Program of the California Transportation Commission (CTC). The money for the projects was awarded on June 26 to the Tulare County Association of Governments (TCAG), a quasi-governmental agency that oversees transportation projects and funding in the County. Also in Tulare County, the community of Terra Bella received $397,000 to design and construct new sidewalk, curb and gutter on one side of Avenue 94 (Acacia Avenue) between Road 236 and Road 238 to enhance the safety for pedestrians walking to school. Protection Program for 49 projects that will maintain and preserve the investment in the state highway system and its supporting infrastructure. These capital improvements consist of projects covering maintenance, pavement repair and rehabilitation, safety improvements and upgrades to bridges throughout the state. 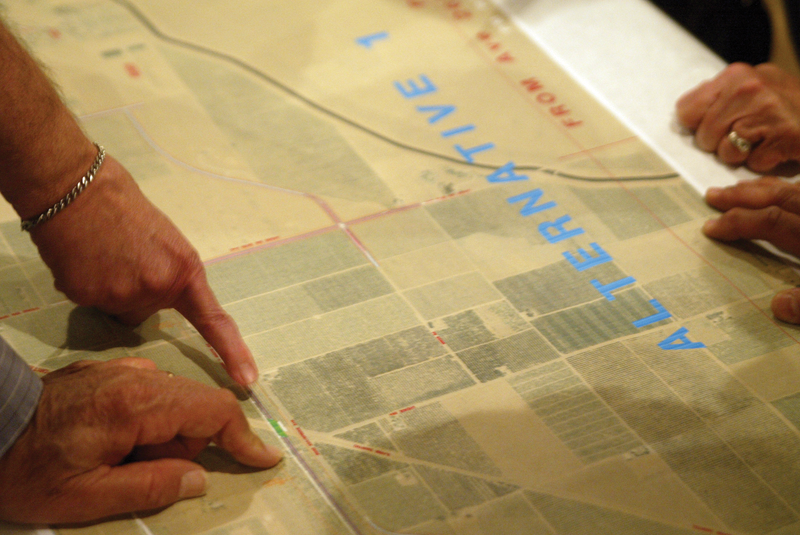 The only Tulare County project on that list was a small section of Highway 99. TCAG was allocated $20.8 million to widen Highway 99 from four to six lanes. The project begins 1.2 miles south of Avenue 280 (Caldwell Avenue) and extends to 0.9 miles south of west the Visalia overhead. The remaining $110.9 million in allocations came from assorted transportation accounts funded by state and federal dollars.